The regional delicacies of the Austrian GenussRegionen are wonderful on their own; However, the specialities only develop their potential when we combine them with other ingredients and prepare delicately tasty sides with them. Here are a few recipe ideas. Put all ingredients in a cast-iron saucepan and bring to a boil. Simmer over medium heat for about 30 minutes (in an open pot). Then remove the chutney from the heat and let cool to room temperature. 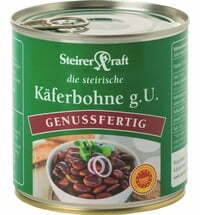 If it needs to go a little faster, you can also use the delicious cherry chutney from the cherry-flavoured Strohmayer with real Leithaberger cherries. For the marinade of the iceberg lettuce mix olive oil, lemon juice and salt. Cut the fillets into strips and rub them well with olive oil and crushed pepper. Heat a grill pan and grill the chicken filet strips well from all sides. Marinate the iceberg lettuce and arrange on a plate as a bouquet. Then add the chicken fillet strips and cover with chutney. These spicy runner bean muffins are simply delicious as a main dish with herb sauce and various salads or as a side dish to meat. Roughly chop the cooked runner beans. Finely chop the onion, fry in a little oil until it is glassy and then add whipped cream. Then stir in the beans with eggs, flour, quark, cheese and breadcrumbs. Fill the mass into greased and crumbled muffin moulds. Bake everything for about 30 minutes in the oven. Then let everything rest briefly in the oven turned off. Cook the potatoes in salted water until soft. In the meantime, cut the bread into small cubes, pour over the milk and leave to simmer. Then add the flour, eggs, salt and nutmeg and let rest for half an hour. Meanwhile, cut the Walserstolz into small cubes. Form dumplings and bake in oil golden yellow. 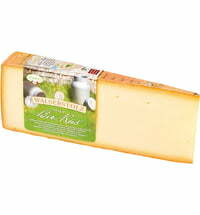 Serve the cheese dumplings with a green salad or in strong beef soup. 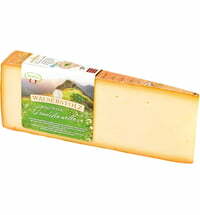 Großwalsertaler Mountain Cheese Walserstolz "Our Organic Cheese"